Making their 2019 debut on FloMarching in weekend #2 of the Winter Guard International season—percussion and winds! The divisions will join guard in competition over the two-day regional in Dayton, OH. Meanwhile, some of the best color guards that the United States has to offer will be competing in Indianapolis at Warren Central and Greenfield Central High Schools. 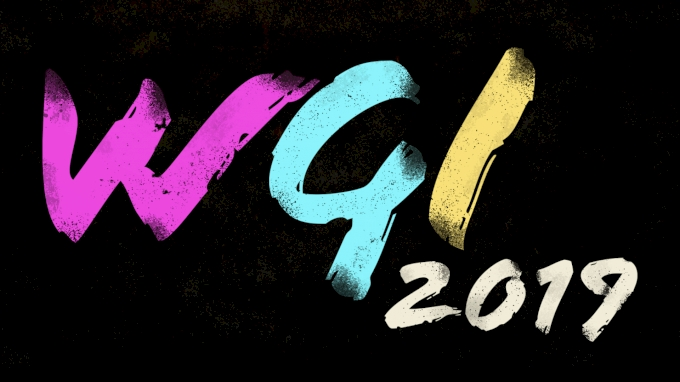 In World class alone, over 25 groups will be making their WGI season debut on FloMarching, live for the whole country to see! I mean, just look at the Indianapolis line-up: Onyx, Bluecoats Indoor, Pride of Cincinnati, Juxtaposition, 27 Scholastic A groups (! ), Avon HS, Bellbrook HS, Carmel HS, Miamisburg HS, Norwin HS, Plymouth-Canton, Shenendehowa HS, and Warren Central HS... and the list goes on and on. Out in Dayton, Avon's World Class winds group makes the return, after taking last year off, to "headline" the division's prelims at 10:24 AM ET. In Percussion, we'll get a chance to see some of the Ohio favorites like Kettering Fairmont HS, Lebanon HS, Centerville HS, and Rhythm X. Also in Independent World class we'll get a chance to see ConneXus and INov8 make their WGI World Class premieres—a huge step for both organization's history. Unlock this article, live events, and more with a subscription!